The Friends Ambulance Unit was set up by Quakers during World War I. The personnel records from this service are now available to search online. The Friends Ambulance Unit (1914-1919) was a civilian volunteer ambulance service set up by a group of Quakers during World War I. Its members from 1914-1919, both Quaker and non-Quaker, totalled over 1000. Friends Ambulance Unit would first go to Dunkirk in October 1914 under the auspices of the British Red Cross Society and the Order of St. John of Jerusalem. Friends Ambulance Unit carried out work both at home and abroad. The Foreign Service Section carried out civilian relief work in allied occupied Belgium and supported wounded men from the active French divisions in Champagne and Argonne regions. 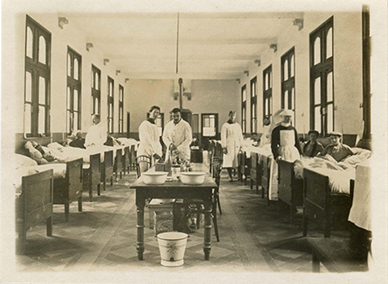 The Home Service Section dealt with applicants to the Unit, organised the supplies to mainland Europe, sent staff to hospitals in England, and after the introduction of conscription, helped to organise alternative work for conscientious objectors who could not afford to join the Unit. 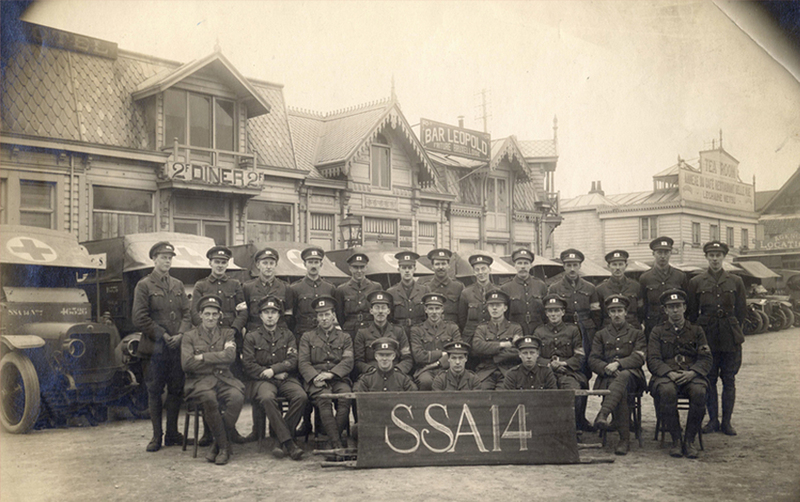 There are two series of searchable personnel records, series one which was maintained at the headquarters in Dunkirk, France, and series two which was maintained as a central index in London. Some men appear in both series and therefore two personnel cards for them will appear in your search results. Their service record on the card should indicate if they worked at home or abroad.